Emerging market stocks have not made a new low and have outperformed by 10%. 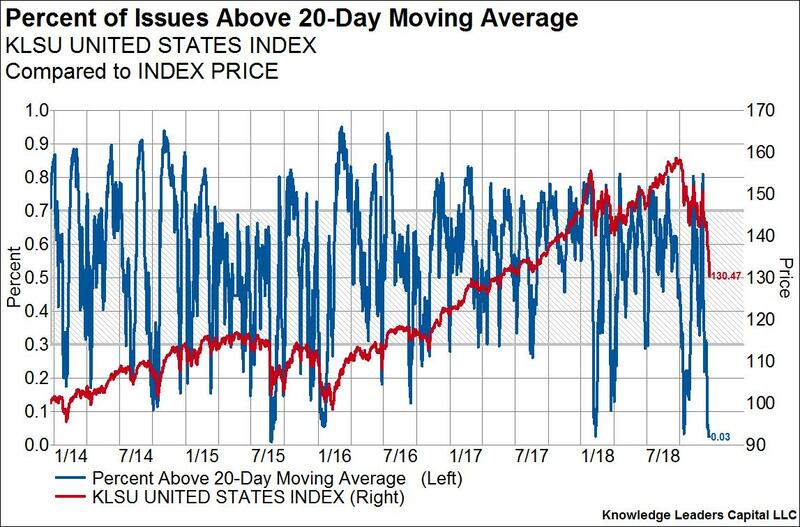 This is what we would call a positive divergence between an extremely cyclical and liquidity sensitive group relative to a more stable group (S&P 500). Global developed market stocks are outperforming US stocks. Again, a positive divergence between an extremely cyclical and liquidity sensitive group relative to a more stable group (S&P 500). Copper, the metal with the PhD in economics, is not making a new low. The materials sector, another extremely cyclical group, has outperformed by 5% since November. 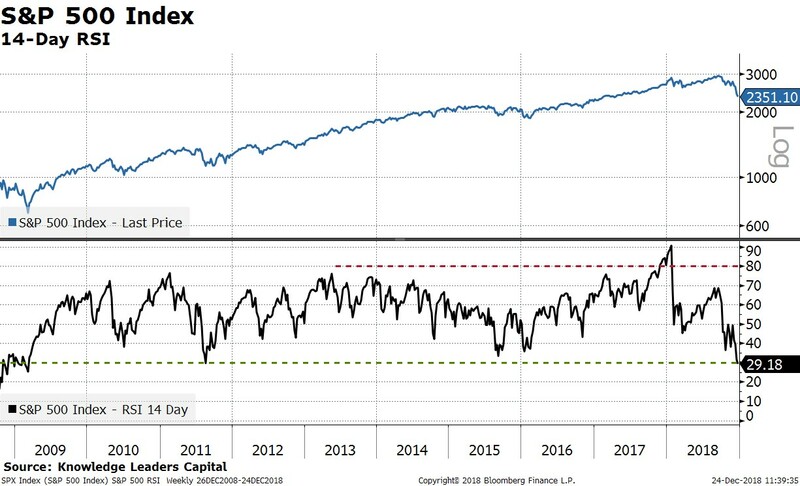 The NYSE put/call ratio, a measure of investor anxiety, has surged to the highest sustained level as far back as our data goes. Stocks are more oversold than anytime in the last decade other than fall of 2008 as measured by the 14-day RSI. 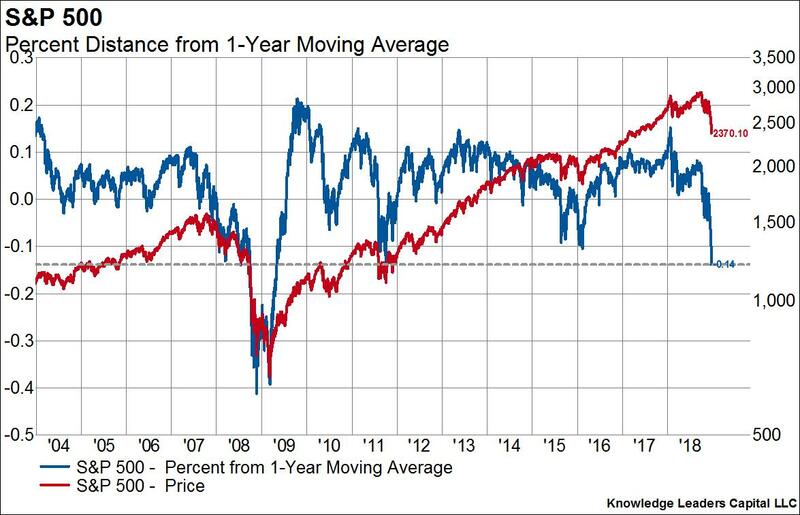 The S&P 500 is further from its 1-year moving average than at any other time in the last decade besides the fall of 2008. Before today, only 3% of US mid/large cap stocks were trading above their 20-day moving average. 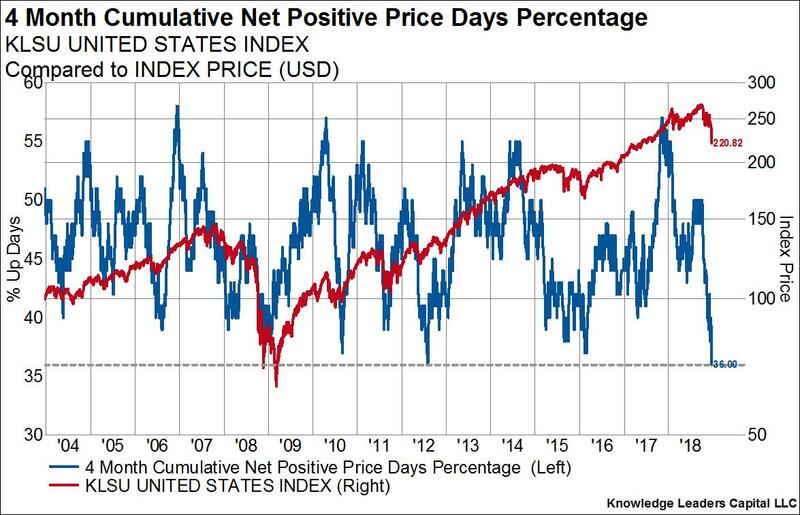 The percent of US mid/large cap stocks making new 20-day lows in price has expanded to a level not seen since 2011. 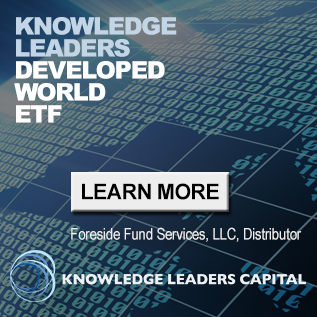 Last Friday NYSE volume was the highest in years, indicating capitulation. The Baltic Dry index, a liquidity sensitive index of transocean shipping costs is fully 28% above its low from earlier this year. 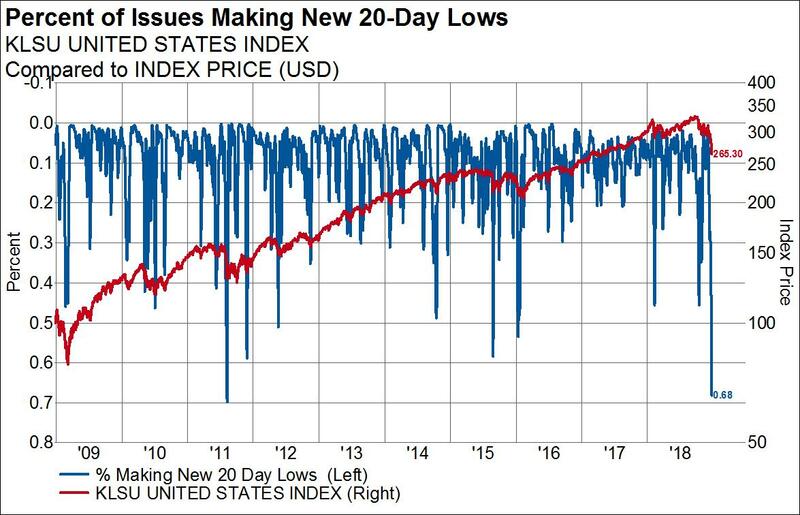 The number of days the market has been up over the last four months is tied for the lowest level in the last 15 years. 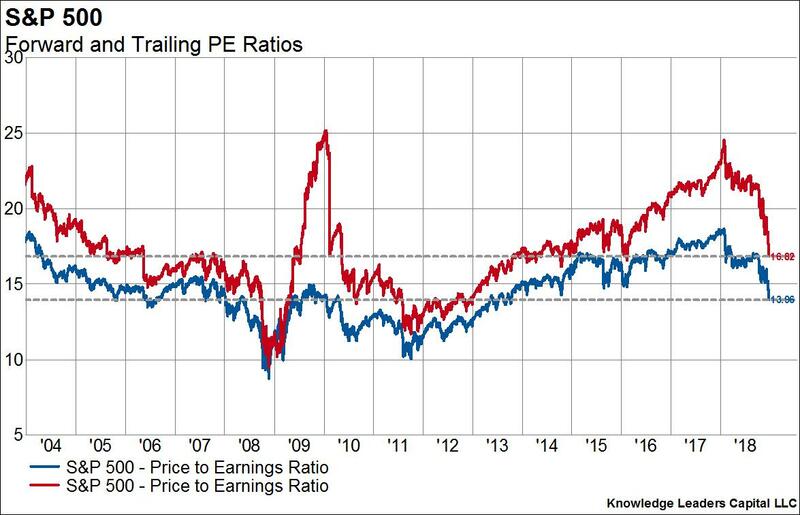 While not a tactical indicator, this rapid decline has erased five years of valuation expansion.